The Internal Revenue Service (IRS) has started the process of levying penalties on employers under the Affordable Care Act (ACA) employer shared responsibility provision. Often called the employer mandate or play or pay, the ACA provides for the IRS to assess penalties on employers that do not offer adequate health coverage to their full-time employees. Although the mandate took effect in 2015, the IRS is just now starting to send penalty notices. This article explains the IRS process and the steps you can take if you receive a penalty notice. The first round of penalty notices pertains to calendar year 2015. Employers that receive a notice will only have 30 days to respond, so it is advisable for all employers to prepare in advance by reviewing what their situation was in 2015. For 2015, the play or pay rules applied only to employers that had an average of 50 or more full-time employees, including full-time equivalents, in 2014. Related employers in a controlled group, such as parent-subsidiary groups and entities under common ownership, were counted together to determine whether they were ALEs. Non-ALEs were exempt from the mandate. Penalty B if the ALE failed to offer affordable minimum value coverage to its full-time employees. If triggered, Penalty A is $2,080 times the total number of full-time employees minus the first 80 employees. Penalty B is $3,120 times the number of full-time employees who actually received a Marketplace subsidy due to employer’s failure to offer that employee affordable minimum value coverage. Amounts are pro-rated by month. To calculate the monthly amount, divide $2,080 and $3,120 by 12. Also, if Penalty A applies, then Penalty B is disregarded. ALEs were required to prepare and distribute Form 1095-C to persons who were full-time employees for any month in 2015 and to file copies with transmittal Form 1094-C to the IRS. The forms reported whether each full-time employee was offered health coverage and, if so, whether the coverage was affordable. Several transition relief provisions were available for 2015. ALEs that had an average of 50-99 full-time-equivalent employees in 2014, and did not materially reduce their workforce or health coverage through 2015, were exempt from penalties. ALEs with non-calendar year health plans generally were exempt from penalties for the months preceding their 2015 plan year start date. To take advantage of a transition relief provision, the ALE’s completed 2015 Form 1094-C must indicate the specific provision. The IRS is using information from 2015 Forms 1095-C and 1094-C, and information about employees who received a Marketplace subsidy for any month in 2015, to determine which ALEs it believes are liable for penalties. It appears that a Form 1095-C on which line 16 is blank is one of the triggers the IRS is using to identify ALEs for penalty notices. The penalty process consists of the steps below. 1. The IRS sends Letter 226J (notice and instructions) along with Form 14765 (list of employees who received a Marketplace subsidy) and Form 14764 (employer response form). ALEs are instructed to review the information and respond within 30 days. 2. The ALE responds by completing and returning Form 14764. The ALE will check a box to indicate whether it agrees with the proposed penalty or disagrees with part or all of the proposed penalty. The form also requires the ALE’s contact information for additional follow-up. 3. If the ALE responds by agreeing with the proposed penalty, the ALE will complete the payment option section of the form. 4. If the ALE responds by disagreeing in whole or part with the proposed penalty, the IRS sends Letter 227 (not yet available). The follow-up letter will instruct the ALE on how to present supporting information for its case. The ALE also will have the option of requesting a pre-assessment conference with the IRS. 5. If the ALE fails to respond to Letter 226J or Letter 227 in a timely manner, the IRS will issue Notice CP 220J as a demand for payment. 1. Alert all departments and staff to keep an eye out for any material from the U.S. Treasury or IRS. If part of a controlled group, confirm that subsidiaries or affiliated companies will notify each other if they receive any material. 2. Ensure that copies of all 2015 Forms 1095-C and 1094-C are readily available. Many ALEs used third-party vendors to prepare their forms, so it may be necessary to contact the vendor. 3. Identify staff and establish an audit process for comparing the IRS notice against employee data and benefits records. 4. Upon receipt of Letter 226J, refer to legal counsel for assistance in preparing a timely response. Lastly, note that the majority of employers will not receive an IRS notice, either because the employer was too small to meet the ALE definition or because the employer’s Forms 1095-C and 1094-C did not trigger any IRS action. In any case, an employer will not be on the IRS radar unless at least one of its employees received a Marketplace subsidy. The IRS provides information about the penalty process in question-and-answer format on its Understanding your Letter 226-J webpage. Employers and their advisors should check the webpage periodically for updated information. Question: With the recent Executive Order rescinding DACA, do we need to do anything different for our employees who are enrolled in the program? Answer: Given the recent news headlines around immigration, a lot of employers may wonder which changes, if any, affect them. As stated in the memorandum by the Department of Homeland Security, current Deferred Action for Childhood Arrivals (DACA) recipients will keep their work permits and deferred action grants until they expire. DACA applications and associated applications for Employment Authorization Documents (EADs) that have been accepted or are pending as of September 5, 2017 will be processed. However, new initial DACA requests and associated applications for EADs filed after September 5, 2017 will not be accepted. Lastly, DACA renewal requests and associated applications will not be accepted unless they were pending prior to September 5, 2017. What employers need to know is that unless Congress provides a legislative remedy, many workers will lose their work authorization over the next two and a half years. 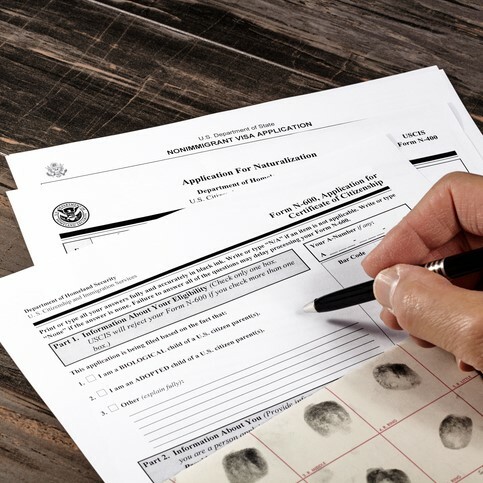 You should treat these workers normally and should accept their unexpired work authorization documents as satisfactory evidence of work authorization to complete or re-verify an I-9 form. For more information, refer to the Department of Homeland Security. On August 31, 2017, Federal District Court Judge Amos Mazzant overturned the Fair Labor Standards Act (FLSA) Final Overtime Rule that would have doubled the annual salary level to qualify for exemption from overtime from $23,660 to $47,476. The same judge issued an injunction stopping implementation of the final rule nine months ago, and the Trump administration did not challenge the decision. This may not be the end of the issue. Earlier, Labor Secretary Alex Acosta requested public comments on the rule and indicated that his department planned to review and possibly adjust the salary thresholds for exemption. The Department of Labor could also appeal the ruling. For now, employers that have already made changes to their compensation plans can determine if they want to continue with the changes, suspend the changes, or roll back those changes pending new developments. These decisions should be made in accordance with any applicable state or local laws. ThinkHR and Benefit Administration Group will monitor this issue and provide you with more information as it becomes available. For many businesses, the process of choosing and administering a health insurance benefits program is a daunting one. They often turn to benefits brokers to help them select and implement plans. Traditional benefits brokers offer assistance in choosing plans, but typically lack the technological systems and solutions that help companies operate more efficiently and save money. In contrast, technology-backed brokers can use a variety of resources to not only aid in the selection of a health insurance plan, but to administer it and provide year-round support. Ultimately, a benefits broker should make the job of a company’s human resources (HR) department easier. If a broker is not achieving this goal, it may be time to investigate options for a new broker. Benefits brokers are licensed professionals who assist companies, small business owners, individuals and families in choosing and administering health insurance plans. Using their health insurance expertise, they help businesses choose health insurance networks and plans that fit their needs and budget. In many cases, brokers have long-standing relationships with their clients and can assist them with paperwork, compliance, and annual renewals. Establishing a comprehensive health insurance package for employees can be a challenging task for any business owner. With a seemingly endless array of choices, complicated enrollment procedures, and ever-changing legal requirements, even seasoned HR professionals may find the task overwhelming. For this reason, many companies turn to a benefits broker. Taking advantage of a broker’s expertise in plan options, procedures, and rules is a smart choice for business owners. A good benefits broker will make sure that a client has the best benefits package for their needs and budget, and will reduce the workload for an HR department by handling the plan’s administration and paperwork. Part of this process is helping to ensure that you are aware of the types of plans and costs that your competitors are employing, as a part of the benchmarking process. One of the ways that brokers should be assisting their clients is through the use of technology solutions and systems. Utilizing technology to select and administer a benefits program can streamline the process, ensure compliance with rules, and verify that plan information is readily accessible to both the client and its employees. A benefits broker should use innovative technology to help clients compare and select plans, educate employees about plan options, send customized open enrollment communications, and comply with all applicable rules and regulations. Specialized programs and applications can reduce paperwork and provide easy access to necessary information. Brokers should also be available to their clients throughout the year, offering support for problems or questions that arise about health insurance plans. A good broker will have sufficient staff to provide year-round assistance to clients—not only when it is time to renew a plan. If a company has an employee with a major health problem or life event, for example, a benefits broker should be available to discuss these issues – as well as assisting with other routine questions, and employee education related items. When it comes to selecting a health insurance programs, a broker should have access to a variety of products and plans offered by a number of carriers to meet a business’ needs and budgets. Brokers with limited options often cannot respond to their clients’ requirements, leaving companies with health insurance plans that are too expensive or that just do not meet employees’ needs. A top ranked broker brings more to clients by way of leverage – including the ability to help troubleshoot challenging situations that may arise throughout the year. Finally, because the rules and regulations surrounding health insurance plans are complicated, a good benefits broker should protect their clients on all applicable compliance and regulatory issues. This includes making sure that the plan complies with all federal and state laws and regulations, that it is offered to all eligible employees and filing the required paperwork with the IRS and other government agencies. These tasks are important and necessary but may overwhelm an HR staff. A benefits broker should take on this work for clients, easing the burden of administering a health plan – including the tools, and invaluable resources, often through on-staff HR professionals to assist with local, federal, and ACA compliance support. Is It Time for a New Broker? A benefits broker should be doing a variety of things to meet client needs, including offering technology-based systems and solutions, offering a range of plan options, providing year-round support, and protecting clients on regulatory and compliance issues. If a broker is not doing any of these tasks, companies should consider finding a broker who can meet their needs. Companies who are not adequately supported by their brokers may find that their business is negatively impacted. HR professionals may feel stressed and overworked if a broker is not providing assistance in administering a health insurance program, which may ultimately lead to a high turnover rate. Without technology-backed solutions, plan administration may be over costly and time-consuming. Employees may also be dissatisfied if they do not have their preferred health insurance options, or if they feel that they do not have access to the information that they need and want about their benefits. If a broker is not offering a range of plans and carrier options, a company may not even be aware of lower-cost plans or plans that meet their needs better. If a broker is not assisting a business with compliance, the company may be penalized through fines and penalties for not filing the correct forms with state or federal government, or even through missed opportunities to lower their tax burden. When it comes to selecting and administering a health insurance plan, using the proper technology is key. The world of health insurance is a fast-changing one, with evolving laws and market conditions that make it hard for the average business owner to keep up with the changes. A good benefits broker should deliver expertise on a broad variety of topics, from compliance with the Affordable Care Act (ACA) to tax matters and benefits administration. A good broker should also stay on top of changing regulations and premium rates for their clients. Given the complex nature of health insurance benefits, brokers which provide ease of access to technology-backed systems and solutions offer many advantages over traditional brokers. One such advantage of working with a broker can be seen in how brokers handle compliance with the ACA. While health care reform has provided more affordable insurance options for individuals and employers, it has also brought many rules and regulations. Employers need to determine how many full-time employees they have, ensure that their health insurance plans have the minimum value, determine what they have to report to the IRS, and then make sure that the proper paperwork is filed in a timely manner. Failing to comply with these regulations can trigger compliance violations, resulting in penalties and missed tax savings. Traditional brokers do not provide support to their clients on these matters, leaving businesses on their own when it comes to navigating this complicated system. However, a technology-backed broker may be able to provide valuable resources to their clients to ensure compliance and help avoid any potential penalties. These tools can help employers save time and money, and allow companies to focus on what is really important—running their business smoothly and profitably. Beyond compliance, technology-backed brokers may also be able to assist employers with their human resources needs. Traditional brokers are not seasoned in the field of human resources, leaving clients on their own to create their own HR policies and draft an employee handbook. They often do not provide HR support for their clients, and cannot answer questions on thorny HR issues. In contrast, technology-backed brokers may give their clients access to a wealth of information and resources to assist their human resources team. This could include topical articles on issues that are relevant to employers, forms, sample employee handbooks and communications tools. Utilizing these tools could help an employer avoid claims of wrongful termination, discrimination, and harassment. Technology-backed brokers may also offer support on HR issues to help their clients successfully handle any problems that arise. In this way, technology-backed brokers have a distinct advantage over traditional brokers. When it comes to providing support, most traditional brokers limit their client contact to renewal time. Employers are left to navigate compliance and HR issues on their own, with little to no ongoing support from their brokers. Unlike traditional brokers, technology-backed brokers understand how important year-round support is to companies. They may help clients develop strategic plans to lower costs, such as designing employee wellness programs or encouraging healthy employee behavior and habits. Technology-backed brokers may help clients choose the best benefits and support them through the open enrollment process, offering customized communications and education to increase employee participation in the plan. They understand that benefits are about more than just complying with the law; benefits can be a valuable recruiting tool and a way to improve employee satisfaction and retention. With that in mind, technology-backed brokers may provide year-round support and compliance information, ensuring that clients are never left to struggle with plan administration on their own. The advantages of working with a technology-backed broker can be seen in one of the most stressful parts of plan administration for HR professionals: open enrollment. A technology-backed broker may be able to set up an automated enrollment process, which eliminates the expense and hassle of distributing and collecting paper enrollment forms. It also improves the overall efficiency and accuracy of the process. Using online enrollment typically shortens the enrollment cycle, as employees can learn about their benefits options, compare costs and coverage, and pick plans based on their eligibility for different options. Employees can complete the enrollment process independently, finding answers to questions directly on the enrollment site, and can review their benefits information and report life changes at any time, without the involvement of the HR department. Online enrollment also simplifies plan administration, with elections, applies directly to employee records. Employees can readily view and update their records and plans, and the HR department can check enrollment status in real time. Depending on the program used, they may also be able to generate detailed reports on the cost of employee benefits. Technology-backed brokers also have an advantage when it comes to initial plan selection. Traditional brokers will research plans, provide quotes and negotiate rates, but they often fail to do a deeper analysis to help companies design a competitive health insurance plan. Having a health plan that is comparable or superior to what other companies in a given industry or region is critical to recruitment and retention of top employees. A technology-backed broker could perform a benchmarking analysis to determine what others in a given industry or area are providing for their employees, which can help companies choose plans that will give them a competitive advantage. Technology-backed brokers may also utilize programs to project the impact of medical, vision and dental plan changes, estimated renewal cost and streamline the selection process for employees. Using the right technology to choose and implement a health insurance program through a benefits broker should help a company offer a competitive, cost-effective benefits package to its employees. Finally, technology-backed brokers may utilize online systems to analyze clients’ plan data to determine how to adjust plans to save money. These programs may also be able to model recommended changes so that clients can see how suggested changes could save money or provide better benefits for employees. In contrast, traditional brokers do not have the analytical tools or technology to dig into plan data and identify areas for improvement. Employers who use traditional benefits brokers will never see how their plan data compares to others in the industry, and may waste money. In this manner, technology-backed brokers may help their clients tighten their benefits budget. When it comes to selecting and administering a health insurance plan, a benefits broker should make life easier for clients. If a company is not receiving year-round support and access to technology to manage their health benefits, it may be time to look for a new broker. An experienced, knowledgeable, and highly dependable technology-backed broker such as those working at Business Benefits Group is a fantastic option for most companies—offering a range of services to help save our clients time and money, and allow them to focus every effort on running their business. Contact Benefit Administration Group to learn more. There is quite a bit of talk these days about how uncertainty around CSR Payments could cripple the individual health insurance market (see article). This brings up a good question – What are CSR Payment Plans? A discount that lowers the amount you have to pay for deductibles, copayments, and coinsurance. In the Health Insurance Marketplace, cost-sharing reductions are often called “extra savings.” If you qualify, you must enroll in a plan in the Silver category to get the extra savings. When you fill out a Marketplace application, you’ll find out if you qualify for premium tax credits and extra savings. You can use a premium tax credit for a plan in any metal category. But if you qualify for extra savings too, you’ll get those savings only if you pick a Silver plan. If you qualify for cost-sharing reductions, you also have a lower out-of-pocket maximum — the total amount you’d have to pay for covered medical services per year. When you reach your out-of-pocket maximum, your insurance plan covers 100% of all covered services. If you’re a member of a federally recognized tribe or an Alaska Native Claims Settlement Act (ANCSA) Corporation shareholder, you may qualify for additional cost-sharing reductions.